Colostomies divert stool from the colon to an opening on the abdominal wall. While many colostomies are permanent, some are placed temporarily to allow damaged bowel to heal after infection or removal of a portion of the intestine. In these cases, the bowel is later sewn back together, a procedure called a colostomy takedown, although in around 8 percent of cases, the bowel can't be reconnected as planned, the Colostomy Association states. Colostomy reversal can be done through an open incision or laparoscopically, using very small incisions. Serious complications can ensue during or after a colostomy reversal. The most serious complication after colostomy reversal is failure of the connection to heal or anastomotic leak. Any failure in the connection of two ends of intestine results in stool leaking into the abdominal cavity, a condition that leads to serious infection, since stool is not sterile. Antibiotics are given to control the infection, but further surgery is usually needed. According to lead author Andreas Kaiser in the December 20, 2007 issue of the "Journal of Gastrointestinal Surgery," failure of anastomosis, or connection of the bowel ends, occurred in 3.8 percent of 156 cases studied. Minor infection occurred in 21.8 percent of patient's in Kaiser's study, while 21 percent also developed infection in a study reported by lead author Elena Boland of Rush University Medical Center in the July 2007 issue of "The American Surgeon". Peristalsis, a process of rhythmic contractions, keeps stool moving through the bowel. Ileus, paralysis of the bowel, can occur after colostomy reversal. Decompressing the bowel by putting a nasogastric tube into the stomach and stopping food helps the bowel rest and recover. Kaiser reported a 5.3 percent incidence of ileus in cases studied, while ileus occurred in 18 percent of the cases reported by Boland. Any abdominal surgery creates a weakened spot on the abdominal wall. Hernias, a bulging of the intestine into the weakened spot, can occur. Hernias may need surgical repair if they cause significant pain or if they become incarcerated, with part of the intestine stuck in the bulging spot. Boland reported that four patients in her study developed incisional hernias. Temporary incontinence, an inability to control bowel movements, can occur after colostomy reversal. The loose stool produced immediately after reanastamosis is more likely to cause incontinence than formed stool, Susan Cera, M.D. of Ochsner Medical Center reports. This normally resolves within a few weeks. 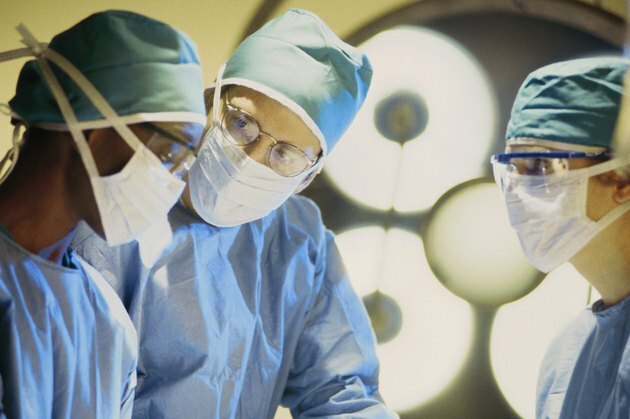 Urinary incontinence can also occur if nerves that control urinary functions are damaged during surgery, the Colostomy Association reports. Ochsner Medical Center: Temporary Stomas; Susan Cera, M.D. What Are the Side Effects of a Colostomy Reversal?